A reliable source for Dust Collection information and a resource for accessing leading Dust Collection and suppliers. 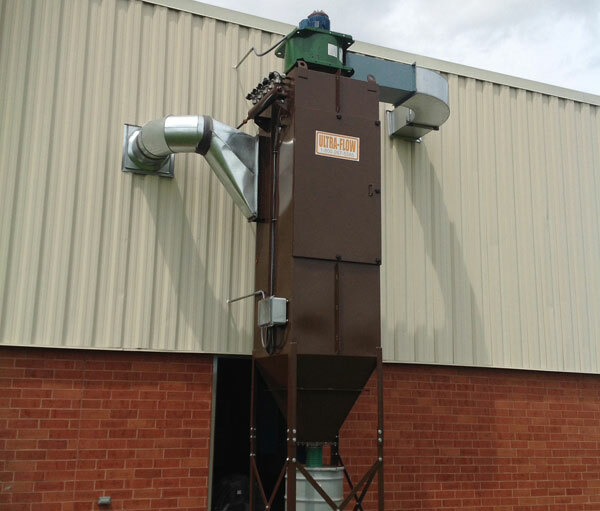 Dust Collection Dust collection minimizes air particle contamination in workshops, plants and manufacturing facilities. Particles are released from material processing in nearly every fabrication industry, from large wood shaving particles or metal shaving particles to fine, respirable chemicals and smoke particles. Dust collection is a vital process for coal handling, cement fabrication, metal fabrication, mining, chemical processing, woodworking, recycling and agricultural industries, among many others. State OSHA regulations require industries with smoke-, dust-, or particle-emitting processes to comply with clean air standards for their workplaces, and environmental regulations limit acceptable outdoor emissions. As the dust collection industry advances, smaller and more efficient filtering equipment is being developed to meet increasingly strict occupational safety and environmental regulations. 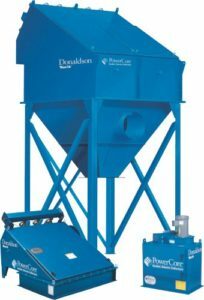 Different types of dust collectors can be used in dust collection systems including bag houses, cyclone dust collectors, jet dust collectors, and portable dust collectors. Baghouses, the most common dust collector design, draw dirty air in through ducts to a hopper-shaped baghouse containing fabric filters bags. A large blower creates a vacuum that draws the air from the facility into the collection chamber and then through the fabric bags, leaving behind the dust, smoke and particles; the clean air exits through the fan at the outlet, while dust particles settle into an airlock at the bottom of the hopper. Similarly, jet dust collectors are a type of baghouse that use jets of reversed air to shake the dust-caked fabric bag filters free of dirt. Cyclone dust collectors are inertial separators which use centrifugal air movement within a hopper-shaped chamber to separate particles from the air; the heavier particles hit the outer wall of the hopper and gravity brings them down to the bottom of the hopper, where they are collected. Portable dust collectors, which generally use fabric or cartridge filters, can be moved around to various workstations for localized dust collection. Wet dust collectors are special dust collection devices that can capture both solid particulate and gaseous impurities in the air using chemical reactions and absorption techniques, and are often used to collect flammable metal dusts like magnesium, aluminum or titanium.